Lorrie began her career in government finance in 1993 in St. Charles Parish, Louisiana where she served as the Chief Financial Officer from 2001 through 2008. 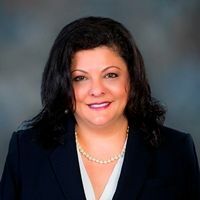 After 15 years with St. Charles Parish, she moved to Jefferson Parish where she was appointed as the Accounting Director. Jeffrey Stewart, who most recently served as the Engineering & Power Supply Manager for LUS and has worked for the Utilities System for more than 17 years, has assumed the role effective immediately. Jeff steps in to the Interim Director position after previous Director Terry Huval retired on July 18, 2018. Mr. Conner has over 16 years of experience in the business administration and accounting fields. His previous experience encompasses various private entities, and for over the past 12 years has worked for the Utilities System in a financial reporting capacity. He holds a Bachelor of Science in Business Administration degree and a Master of Business Administration degree from the University of Louisiana at Lafayette. Mr. Conner is responsible for various support and customer service functions within the Utilities Department including financial monitoring and planning, rates, revenue assurance, employee development, meter services, utility conservation, customer service, business support services, and administration support services.